Well that’s all quite interesting Holmes but what does a gadget like that have to do with what we were talking about–the mysterious Tunguska event of 1908? Surely you’re not suggesting that some type of machine caused all that damage? No-no of course not Watson—no machine made by intelligent beings anyway. Do you remember my mentioning fullerenes and how they seem to form during high-energy events? Let us consider radioactivity paradox at greater lenght. It attracts our attention due to the following circumstances. First of all, everything that somehow connected with radioactivity has been mentioned only in passing for quite a period of time; moreover, – as some annoying nonsense. Secondly, of late, volumes have been accumulated thanks to numerous publications and still unpublished catalogues. These materials ought to be systematized and reconsidered in the context of new scientific approaches. As far as we know there have not been any attempts so far to single out the whole complex of radioactivity contradictions as one more paradoxal aspect of the Tunguska problem. Weakening of thermo-luminescent characteristics of rock as a result of a shock-wave compression becomes apparent in natural conditions only with impact interaction, and their local intensification was observed in laboratory samples of alpha-quartz with megabar effects which is far beyond the conditions of the Tunguska catastrophe. The only adequate source of thermo-luminiscent anomalies in this area might be radioactive emanation and, moreover, in a broad spectral range (from thermal to strong). Studies, which have been carried out from the middle of the 60s up to the present day by three independent groups of researchers using various natural materials, have shown statistically valid pecularities of TL-characteristics field distribution. There have been found structures with parameters of low indices. Their formation must be connected with the effect of thermal irradiation. As for the structures showing intensification of TL-characteristics above the midbackground level they are undoubtedly connected with the activity of strong penetrating irradiation (X-rays, gamma-rays, neutron and proton streams). Weakening of TL is also possible with beyond-threshold streams of strong radiation (the so called “radiation annealing”) is exceeded. But Holmes the weight of scientific opinion contends that the effects of the Tunguska event can be explained by the release of kinetic energy alone, after all the potential energy of any massive object traveling at tens of kilometers per second is enormous–velocity squared you know. Right Watson, but sometimes the weight of opinion is tilted by the scale of an assumed phenomenon. Remember that every aspect of this event is being retro calculated; the mass and velocity of the unmeasured object can thus be diddled to account for the gauged destruction! So if there was a release of energy beyond what was produced kinetically its contribution to the damage could well be absorbed by postulating a more massive object or higher encounter velocity. I think that it might be illuminating to examine some phenomena that could well be common to collisions with carbonaceous objects but is most often observed on a smaller scale–ball lightning. 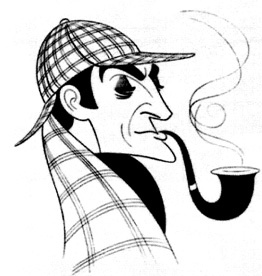 You have been doping your pipe Holmes! Ball lightning is just transient ionized gas and the weird sounding descriptions of its behavior are most likely due to persistence of vision–rather like being popped by a flash bulb. In 1819, Ernst Chladni reflected back on his struggles for the recognition of meteorites. While the Enlightenment, the 18th century intellectual movement that examined accepted doctrines of the time, had brought certain benefits, he felt it also brought with it certain intellectual problems. Now scientists “thought it necessary to throw away or reject as error anything that did not conform to a self-constructed model.” The very success of scientific experiment and theory had led to a misplaced confidence that *what was real was already within the circle of science. * What was outside, therefore, what did not conform to scientists’ theories, could be dismissed by invoking scientific authority and by ignoring or ridiculing observations not supported by it. This happened with the unusual luminous phenomenon known as “ball lightning.” This form of lightning appears as a luminous ball, usually smaller than a basketball, and is quite short-lived (usually less than a minute.) It has a long history of observation, but for many decades was an outlaw event in meteorology. In the 1930s, W. J. Humphreys, an influential official in the U.S. Weather Bureau, had argued persuasively that ball lightning was probably an optical illusion. There was subsequently little mention of ball lightning in meteorology textbooks, and persons with scientific training who observed ball lightning generally kept quiet about it. When commented upon, it was described as a rare event. One of the reasons that it appeared to be a rare event is shown in anecdotes like the following, which appeared in THE LIGHTNING BOOK by Peter Viemeister. During the summer of 1937 several technical observers on duty at 500 5th Ave, during the Empire State Building lightning program, saw what might be interpreted as ball lightning, not once but four times. One of the engineers, now the chief technical executive of a large power company, saw a bluish luminescence slowly descend the 38-foot tower of the Empire State Building after four of the ten or eleven strokes that hit the tower that evening. Fearing that his colleagues would regard him as a lightning-ball “quack”, he was hesitant to speak about what he had seen, but decided to mention it anyway. Suprisingly several of the others admitted seeing the same things. These observations were omitted from the technical reports since they did not appear on the recording cameras nor on the oscillograph records. The problem with ball lightning is that no one has yet found a satisfactory theory to explain it. It is tempting for physicists to argue, as some in fact have, that since it can’t be explained, it probably doesn’t exist! (i.e., if it doesn’t fit the self-constructed model, it’s not real.) So thousands of ball lightning sightings were ruled inadmissible and ignored. In the last decade or so, a much more positive attitude has prevailed, but the phenomenon is still far from completely accepted. Our conclusion is that these fireballs are primarily RF in origin, and not nuclear phenomena. Consistent with Tesla’s observations, they can be produced either by high current dump into hot air [“I am satisfied that the phenomenon of the fireball is produced by the sudden heating, to a high incandescence of a mass of air or other gas as the case may be, by the passage of a powerful discharge.” CSN page 368] or by the presence of resistively heated material particles [“I attribute them (fire balls) to the presence of material in the air at that particular spot which is of such nature, that when heated, it increases the luminosity.” CSN page 333] The latter would account for the “engine room fire balls’ produced by high current switches and relays. Finkelstein and Rubenstein once made a remarkable statement: “If this model is appropriate, then ball lightning has no relevance to controlled-fusion plasma research.” (Ref. 4) If should now be apparent that this position can be experimentally supported. To trigger fusion, the Z-pinch must be enclosed in a radiation chamber (or hohlraum, German for “cavity” or “hollow”) that traps the x-rays. In one system we have explored, the Z-pinch would be placed in a primary hohlraum, with the fuel contained in a smaller, secondary hohlraum. In another method, the pellet would sit in low-density plastic foam at the center of the imploding pinch inside the primary hohlraum. The key is that the x-rays generated as the pinch crashes onto itself, either onto the z axis or onto the foam, are contained by the hohlraum so that they uniformly bathe the fuel pellet, just as the casing of an H-bomb traps the radiation from the atomic trigger. Experiments over the past three years show that both methods should work, because we can now make a Z-pinch that remains uniform and intact long enough to do the job. Right Watson; there is still quite a gap between speculation and demonstration of fact here, but to close this mystery at this time is not my intent–I am first interested in shedding further light upon the subject of high-energy phenomena such as occurs due to an impact event. one needs roughly 8×106 joules of energy (equivalent to 2 kg of TNT). For a ball 10 cm in diameter (the size of a large orange), the energy density is then 5×109 joule/m3. But if all the air in a volume were singly-ionized, the energy density would be only 1.6×108 joule/m3. Both the energy content and the energy density of ball lightning as derived from the singular rain barrel observation seem incompatible with the non-explosive character of most Kugelblitz. Although many lightning balls emit a loud explosive (or implosive) noise upon decay, effects characteristic of the release of energies of the order of 2 kg of TNT have rarely been reported (understandably if the observer was within 3 meters) . Moreover, explosive or implosive decays have been noted indoors with no apparent heat or damage to nearby ceramic objects. Nevertheless, there are enough well-documented cases of extremely high energy Kugelblitz to make the water barrel report very believable. Probably there is a wide range of possible energies for a lightning ball, with the vast majority of Kugelblitz possessing energy densities less than that of singly-ionized air. The minimum possible energy of a lightning ball is that required to illumine a sphere about 25 cm in diameter with the brightness of a fluorescent lamp. With 10% efficiency, this means a source of 250 watts for 4 sec., or about 1000 joules of energy. We can only conclude with certainty that the energy of a lightning ball lies somewhere between 103 and 107 joules. Unfortunately Watson it is not something we can verify as of yet because we can’t make the fireballs but there are other reports that tend to support the notion that heating water is something that this phenomenon can do. For example: In ‘A Notable Historie containing foure voyages made by certaine French Captaines unto Florida’ (London: Thomas Dawson, 1587), which is a translation of ‘L’Histoire Notable De La Florida Situee Es Indes Occidentales’ (Paris: Guillaume Auvray, M.D.LXXXVI. ), the account below begins: “…,until that on the 29. of August a lightning from heaven fell within halfe a league of our fort…” Thus the event occurred within a mile and a half of the fort but no damaging blast wave is mentioned. Of course there may have been a blast front that was not recorded however I have come across other acounts that seem to suggest more burn than bang, such as the Chinese report below the following modern translation of Laudonniere’s story. The people were all sound asleep. It was midnight when an Indian noticed that the moon was taking on a reddish hue. He awoke the others, “The moon is about to be eaten by an animal.” The animals preying on the moon were jaguars, but these jaguars were spirits of the dead. The people shouted and yelled. They beat their wooden mortars like drums, they thrashed their dogs, and some shot at random with their guns. They were making as much noise as they could to scare the jaguars and force them to let go their prey. Fragments of the moon fell down upon the earth and started a big fire. From these fragments the entire earth caught on fire. The fire was so large that the people could not escape. Men and women ran to the lagoons covered with bulrushes. Those who were late were overtaken by the fire. The water was boiling, but not where the bulrushes grew. Those who were in places not covered with bulrushes died and there most of the people were burnt alive. After everything had been destroyed the fire stopped. Decayed corpses of children floated on the water. A big wind and a rain storm broke out. The dead were changed into birds. The large birds came out from corpses of adults, and small ones from the bodies of children. Deuterium (D): A heavy isotope of hydrogen (has a neutron in addition to the proton). Occurs naturally at 1 part in 6000; i.e. for every 6000 ordinary hydrogen atoms in water, etc., there’s one D.
Helium-3 (He3): Rare light isotope of helium; two protons and a neutron. Stable. There’s roughly 13 He-3 atoms per 10 million He-4 atoms. He-3 is relatively abundant on the surface of the moon; this is believed to be due to particles streaming onto the moon from the solar wind. He3 can also be made from decaying tritium. Helium-4 (He4): Common isotope of helium. Trace component of the atmosphere (about 1 part per million? ); also found as a component of “natural gas” in gas wells. Basically speaking, the extra neutrons on the D and T nuclei make them “larger” and less tightly bound, and the result is that the cross-section for the D-T reaction is the largest. Also, because they are only singly-charged hydrogen isotopes, the electrical repulsion between them is relatively small. So it is relatively easy to throw them at each other, and it is relatively easy to get them to collide and stick. Furthermore, the D-T reaction has a relatively high energy yield. Unfortunately you can’t get every single neutron to stick to a lithium nucleus, because some neutrons stick to other things in your reactor. You can still generate as much T as you use, by using “neutron multipliers” such as Beryllium, or by getting reactions like n + Li7 -> He4 + T + n (which propagates the neutron) to occur. The neutrons that are lost are still a problem, because they can induce radioactivity in materials that absorb them. This topic is discussed more in Section 2.